Following him closely behind is the Congress candidate. CONGRESS CANDIDATE from Mohali constituency Balbir Singh Sidhu is leading the candidates who spent maximum money on their campaign in the Punjab Assembly elections. Following him closely behind is the Congress candidate. According to sources in the expenditure monitoring committee, the work of monitoring some video footage of the rallies held by the candidates is under process but so far, they have found that Balbir Singh Sidhu has spent Rs 16. 75 lakh on his poll campaign while SAD candidate Tejinder Pal Singh Sidhu is close behind with an expenditure of Rs 16.10 lakh. 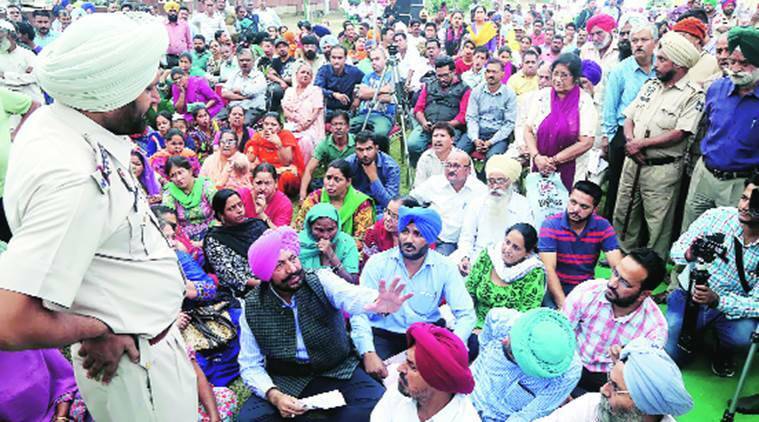 Third on the list is the People’s Democratic Party (PDP) candidate Guriqbal Singh who spent Rs 13.84 lakh on the campaign while AAP candidate Narinder Singh Shergill had spent Rs 12.96 lakh on his campaign. Kamaljot Kaur who contested as an Independent candidate figures last on the list. She spent Rs 1.73 lakh on the campaign. The BSP candidate spent Rs 8.49 lakh while Democratic Swaraj Party candidate Balwinder Singh Kumbra spent Rs 10 lakh. “We have not completed the whole process. We are analysing the video footage of some rallies and some dinner and lunch parties which were organised by some candidates in the banquet halls of the city. We have asked all the hotels to submit the details of the parties which were organised there after January 4,” an official said. The official said they had recovered more than 1,500 posters of different candidates and they had added the charges to the accounts of the candidates. Sources in the committee said that they were noting down the registration numbers of all the vehicles which took part in the roadshow so that they could give the exact number of the vehicles to the Election Commission. “There were clear directions on how the candidates could use vehicles in their rallies or roadshows. Apart from the vehicles, we are checking how many singers were invited by the political parties. We also analysed the details that if the candidates had hired any musician as in most of the cases the people in rural areas use a musician, especially a drum beater, to welcome the leader,” the officer added.